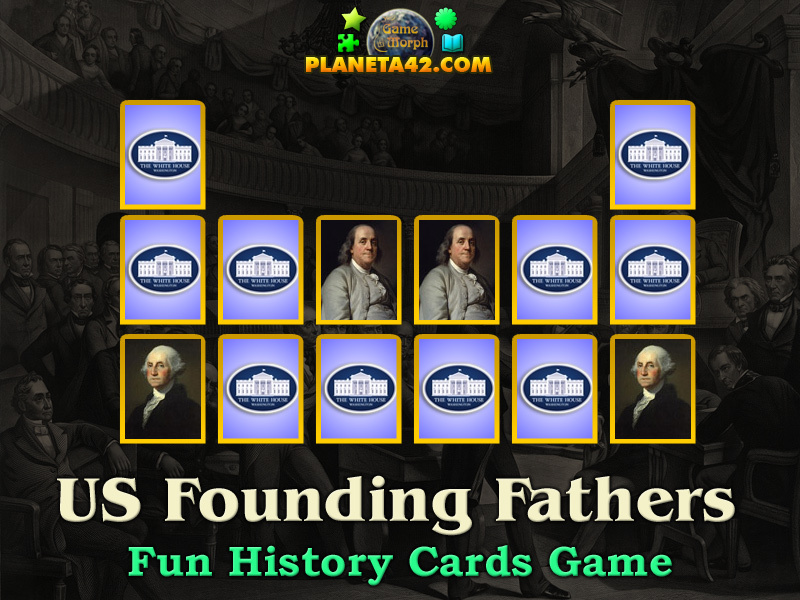 12 Founding Fathers in a fun online history learning card game. "Founding Fathers" is a small knowledge level game, to match two same cards with Founding Fathers. Fun educational game about the founding fathers and independance of the United States. Free online game for desktop computers, laptops and tablets, which may be played in the web browser. Minute to win it game. 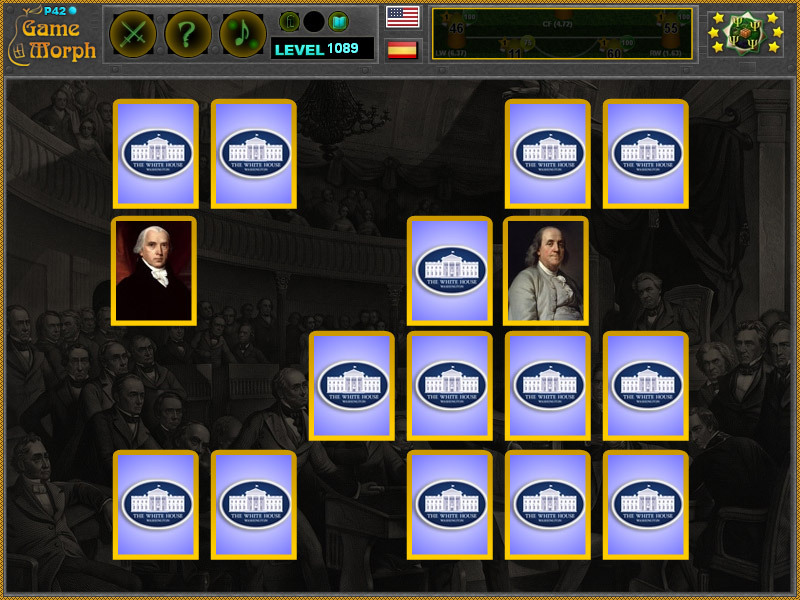 Founding Fathers learning game. How to play Founding Fathers Game. The game will generate 24 random cards with Founding Fathers, where every two cards are the same. Like all matching pairs games, you must open all two same cards one after another to win the game. If you open one Founding Father card, try to open the same Founding Father card as next card to clear the two cards from the table. Know at least 5 Founding Fathers and get +1 Knowledge Level. Class subject: Founding fathers of the United States. The Founding Fathers of the United States were individuals from the Thirteen Colonies in North America who led the American Revolution against the Kingdom of Great Britain and contributed to the establishment of the United States of America. The Founding Fathers represented a cross-section of 18th-century U.S. leadership. Almost all of them were well-educated men of means who were leaders in their communities. Many were also prominent in national affairs. Virtually every one had taken part in the American Revolution; at least 29 had served in the Continental Army, most of them in positions of command. Labels: History Games , Learning Games , Card Games , Person Games , Education Games , Free Online Games.